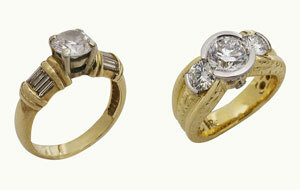 Rock N Gold Creations offers award winning custom jewelry design in San Diego. 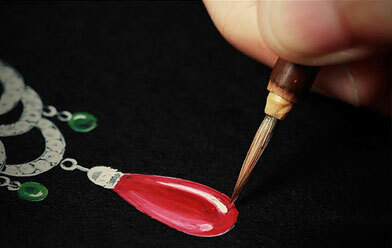 We look forward to meeting you and being part of your personalized jewelry design process. Contact us at 858-571-4560 or follow our Appointment link. 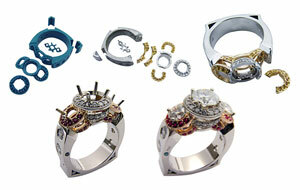 The Custom Jewelry Design Process at Rock N Gold Creations is all about the client. 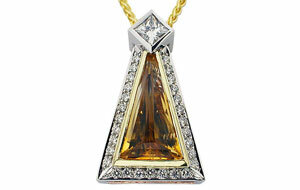 We specialize in custom jewelry design, one-of-a kind jewelry designs and custom jewelry redesign. Our pieces have been voted San Diego’s Best Designer Jewelry several years in a row because we are determined to inspire and captivate our clients by creating superior quality jewelry. Our passion is consulting with our clients and collaborating in an imaginative process to create customized jewelry, jewelry redesign or engagement ring design that is captivating, significant and influential. Our 30 years of experience enables us to bring a vast array of unique jewelry designs, wedding ring designs, advanced techniques and artisan processes to the forefront - but it is our communication, exploration and collaboration with the client that produces a superior result. We listen, and we navigate with precision to pinpoint each individual’s personal style and aspirations. Our step-by-step Custom Jewelry Process demonstrates how we create a new custom piece, starting from a counter sketch and ending with a fine piece of jewelry, all the while giving our client confidence and control over the creation of their special design piece. Explore More About Our Custom Jewelry!